Ring Sizing: Please see the "Ring Sizing Tab" below for full details on ordering this ring in a non-stock size. A Certificate of Authenticity is included with this purchase. for sizing. Sizing can generally be expedited by special request. For immediate shipment, or for your purchase to be FULLY refundable, you may order the ring(s) without sizing. Then within one month, return your ring to us for FREE sizing. We will also ship back your ring for free (US orders only). You also may have your local jeweler size your ring for you. If you would like to order a ring in a size not listed in the sizing drop-down menu (generally below a size 5 or above a size 9), please click here for instructions. In most cases, we can remake a ring in any size using the same center stone in the ring that you picked out. for sizing, if selected. For privacy, shipping boxes are plain and unmarked. *Business days do not include weekend days. **USPS and UPS do not guarantee international transit times due to possible Customs clearance delays. 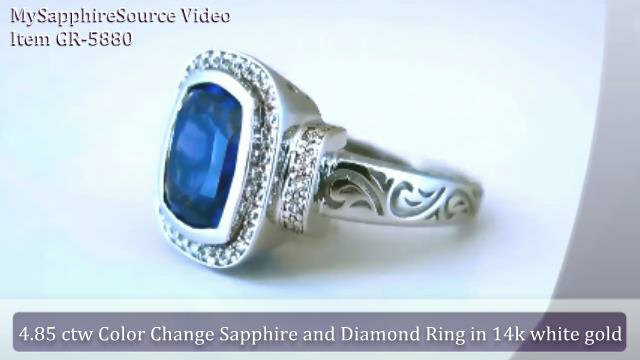 MySapphireSource would be pleased to assist you in creating that special piece you've been dreaming about. Whether you're looking to create a one of a kind custom design or would simply like to make a modification to one of our existing designs, the design process is fun and exciting. Just e-mail or call us (Toll Free: 866-432-4936) with your request and we can send you a quote or will contact you for additional information. See our jewelry in all its glorious detail. We have added video to some of our beautiful creations.
. All items are In Stock unless otherwise noted. Rings ordered without ring sizing will be shipped without delay. For privacy, shipping boxes are plain and unmarked. for shipment. Please remember that nearly all of our rings can be sized by your local jeweler or we would be happy to size and return your ring to you within 30 days for FREE (one time only). Copyright 2004-2019 MySapphireSource. All Rights Reserved.